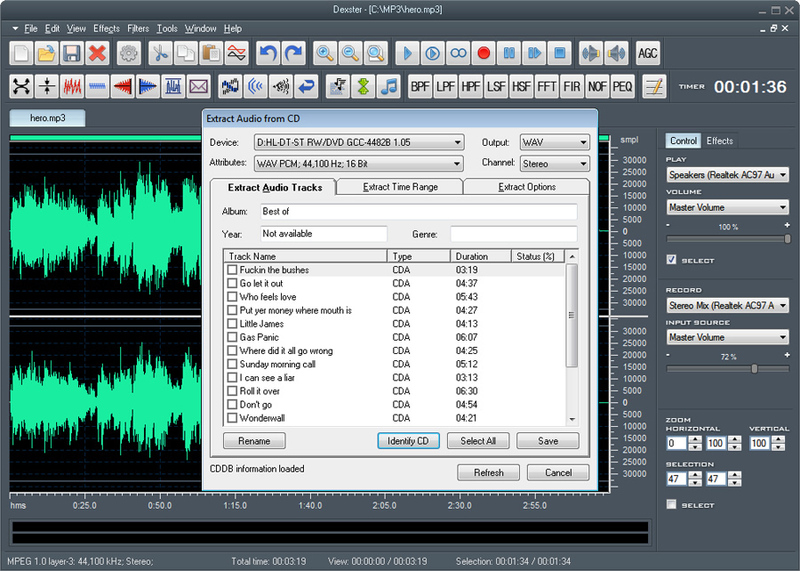 Edit audio files with award winning audio editing software. 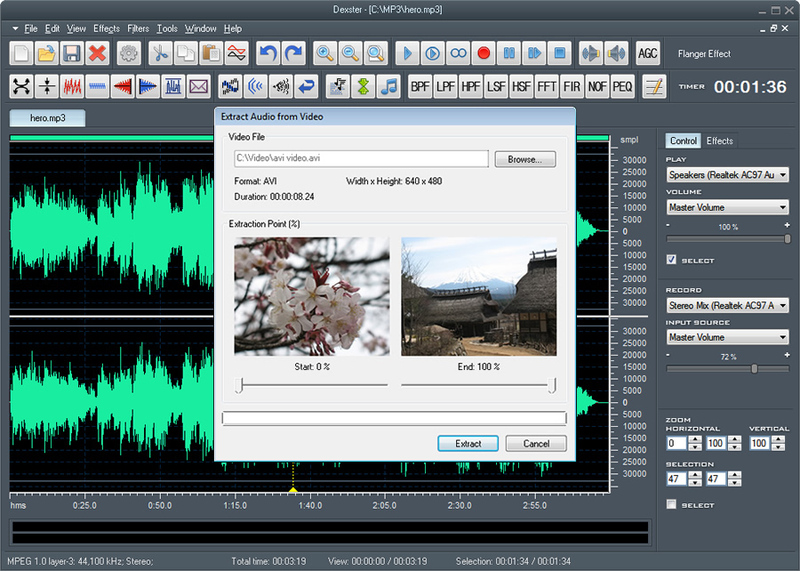 Even beginner can record, extract, edit, convert and burn. 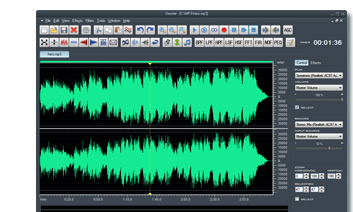 Apply audio effects; Amplify, Compressor, Delay, Envelope, Equalizer, Expander, Fade, Flanger, noise, silence, Invert, Normalize, Phaser, Reverb, Reverse, Silence, Tempo, Trimmer, Vibrato, Chorus, Pitch Shift, Distortion. 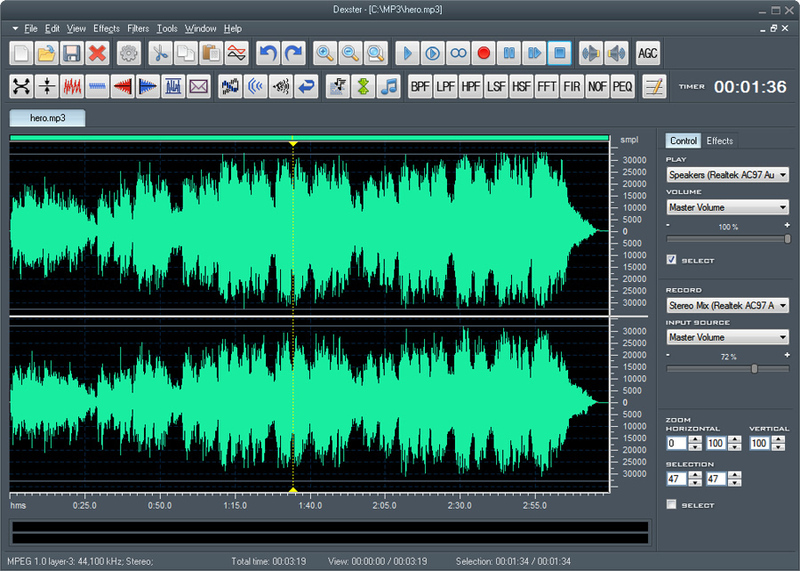 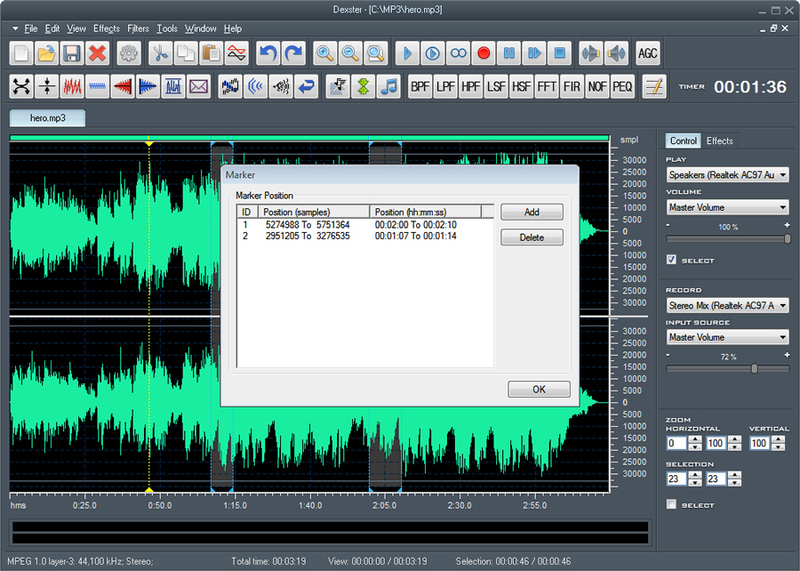 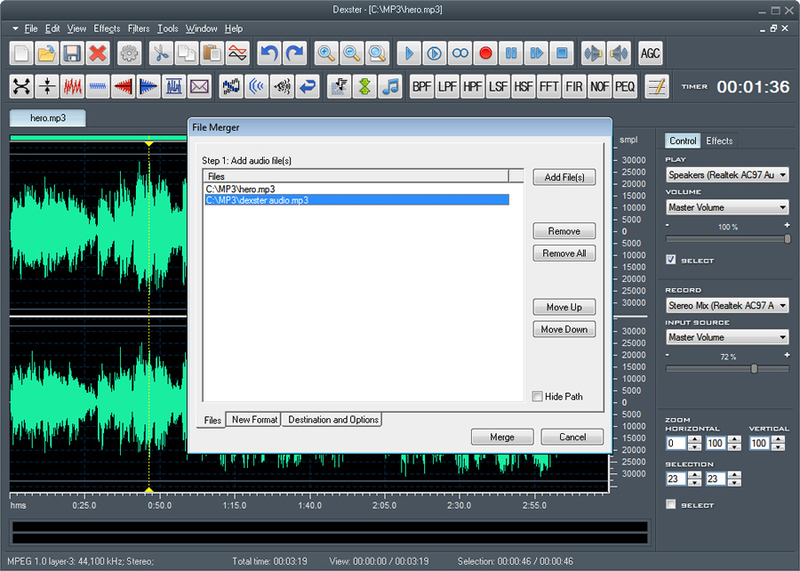 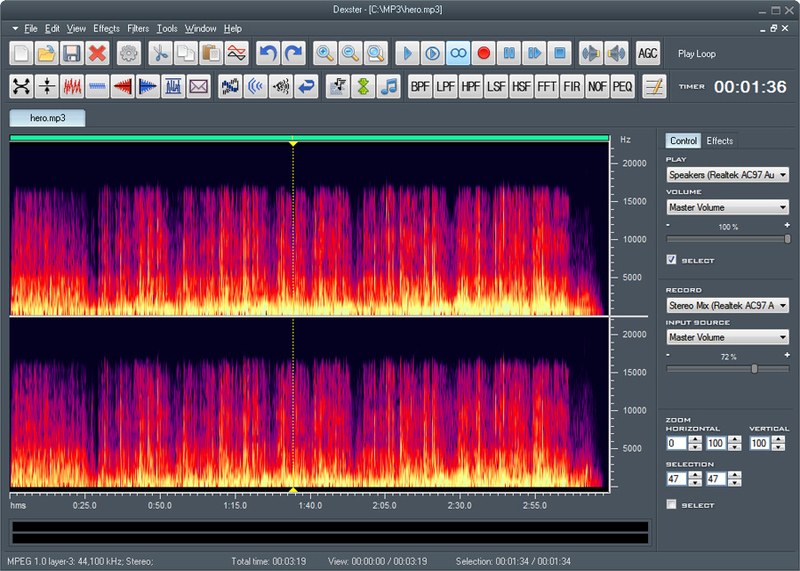 Audio Joiner / Merger features to combine audio tracks and Audio Splitter to split audio file. 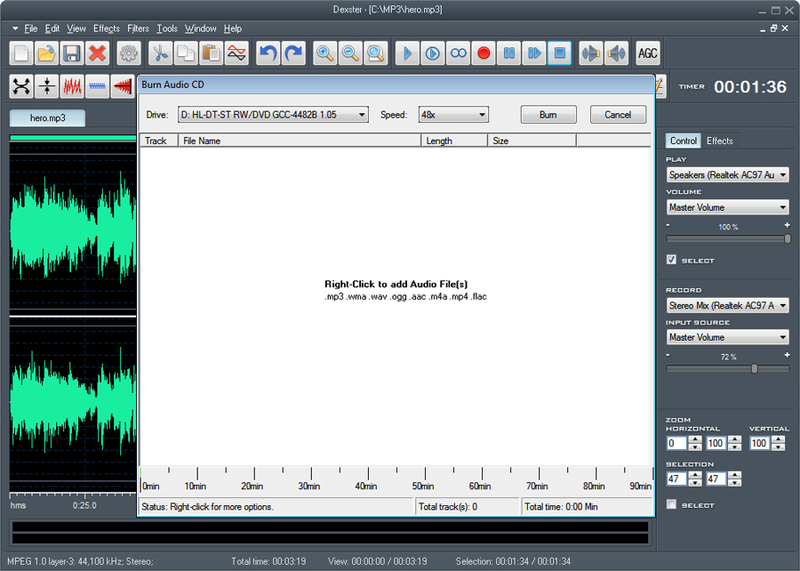 Convert audio file from one format to another. 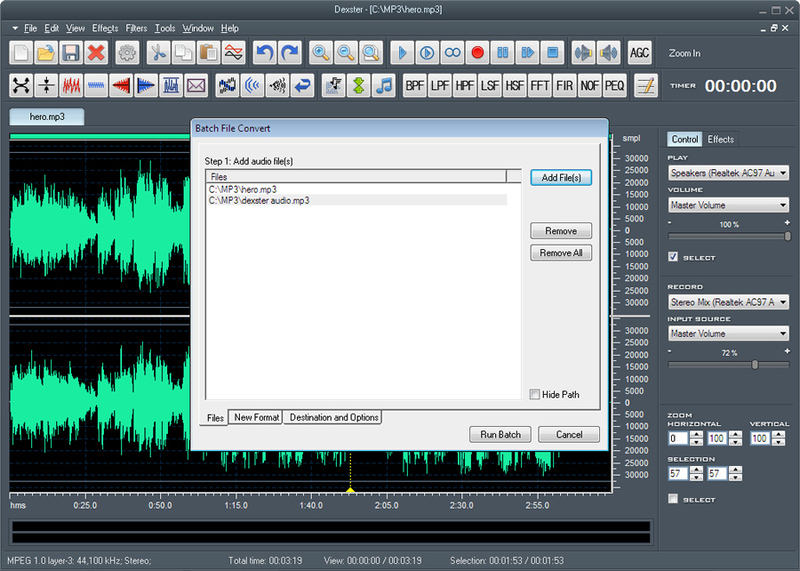 The batch audio converter mode is also supported.